Ventsim was originally introduced to mining operations in 1994 to help visually design, improve and optimize underground ventilation systems. It is now licensed to over 1000 mine sites, consultants, universities, governments and research agencies around the world. The new Ventsim Visual ventilation software was released in 2009 and offers a graphically rich and dynamic ventilation environment with many more features than the original Ventsim Classic. 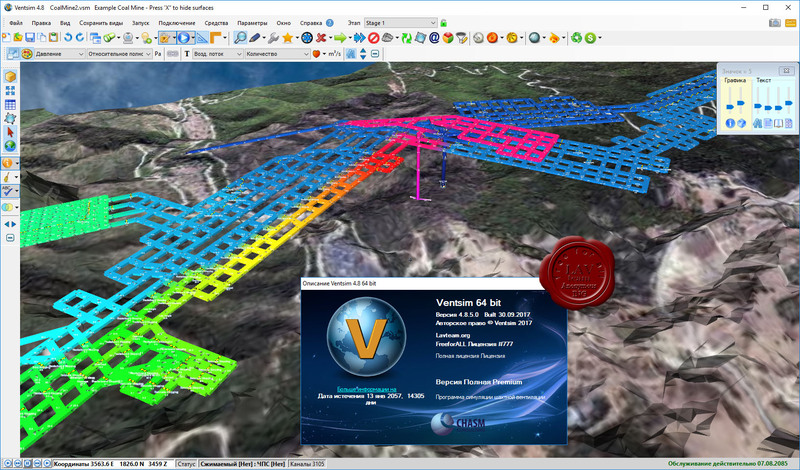 Ventsim Visual is available in three versions: Standard, Advanced and Premium. The difference.